In conjunction with the publication of the book SEARCH, LIE will be hosting a book launch and sharing sessions at APW on 27th April 2019. SEARCH is the first book curated and self-published by LIE. 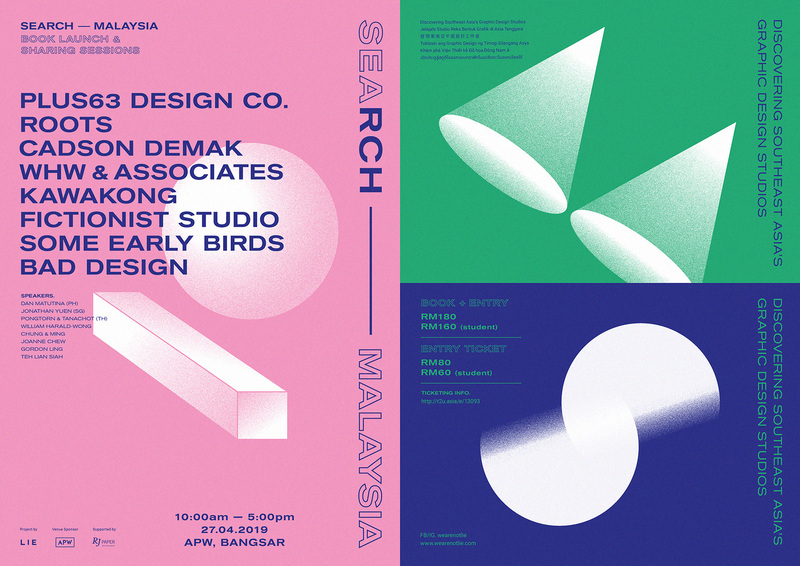 It is a visual documentation features and showcases 40 Southeast Asia’s graphic design studios and a range of inspiring design work. It includes interviews that offer an inside look at the creative processes of design studios and designers in Malaysia, Singapore, Thailand, Indonesia, Vietnam, and the Philippines. At the event, we invite the founders & graphic designers from some of the featuring design studios to share their views and insights related to studio & client management, design solutions, design thinking & processes, and more.